Buy your copy of the book now! Get your copy of Lead Inside the Box from these fine retailers. It’s a great gift for colleagues, bosses, team members, clients, customers, and friends. Grab a copy for them too while you’re buying yours. Get Your Copy of the Book! 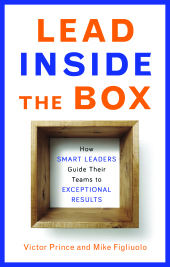 about Lead Inside the Box! Get New Posts FREE via RSS!